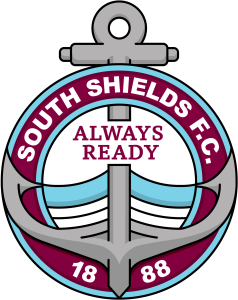 Luke Daly is in line to make his debut for South Shields on Saturday as the Mariners look to reclaim top spot in the Evo-Stik Premier Division. Shields were overtaken on goal difference by Warrington Town after their game at Mickleover Sports was postponed last Saturday. On Saturday they will bid to extend their 100% home record in the league when they take on Bamber Bridge at Mariners Park. Daly has settled in quickly since joining from Droylsden a week ago, and joint manager Graham Fenton believes Shields have a real player on their hands in the midfielder. He said: “We’ve been delighted with the start Luke has made in training. “He has looked really sharp and showed real quality on the ball. “His ability to get around the pitch has been evident in training so we’re really looking forward to seeing him put the South Shields shirt on. “He’s someone we’ve admired from a distance for a couple of years, so we’re delighted to now have him with us. Shields have 15 games left in the league and are locked in a battle for the title. They are currently being kept off top spot by a goal difference of one, and will host current leaders Warrington a week on Saturday. With Saturday’s game and a trip to Grantham Town to come first, Shields must maintain their focus at a vital time of the season. Joint manager Lee Picton is expecting Bamber Bridge to provide a difficult test. He said: “With 15 games to go, we have in our minds the number of points we feel we’re going to need in order to finish where we want to be at the end of the season. “Every match is going to be tough, though, none more so than tomorrow’s. “Bamber Bridge gave us two really tough tests last season when they were promoted alongside us, with us winning narrowly 1-0 at home before losing the reverse fixture 3-2, which proved to be our final defeat of the season. Shields go into the game without injured trio Carl Finnigan, Barrie Smith and Anthony Callaghan. Discounted tickets are available online by clicking here. Please note, the deadline for purchasing tickets in advance is midnight on Friday.